Clinicians who manage patients with malignant hypertension (MHT) have witnessed some remarkable changes in recent years. The incidence of the disease appears to have fallen, at least in the U.K. and other Western countries1. Reduction of blood pressure within minutes by parenteral therapy is no longer recommended as a routine procedure, and it is now recognized that initial management is best achieved by one or two drugs given orally in most cases2. 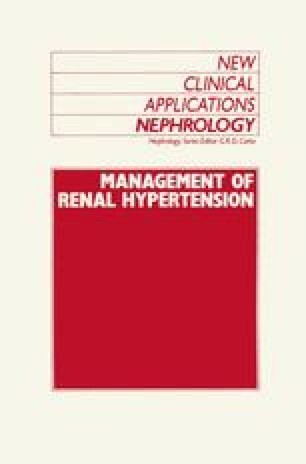 Moreover, survival has improved as a result of more effective antihypertensive drug therapy and the increasing availability of renal dialysis and transplantation3–6.